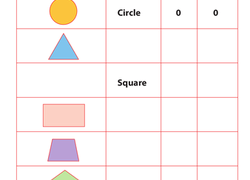 Use this worksheet to help your students distinguish between solid and plane shapes. Is your child in need of a geometry review? 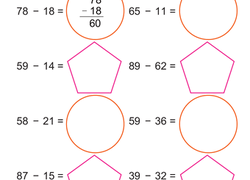 This worksheet covers the basic 2-D shapes, from circles and triangles to pentagons and hexagons. On this year three maths worksheet, you and your child use a measuring tape to measure body parts such as her hand, arm, head, and face. 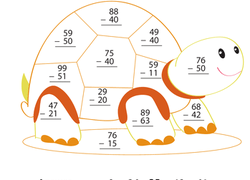 Kids help Olga the Octopus on this year three maths worksheet by solving subtraction problems with two-digit numbers using regrouping. 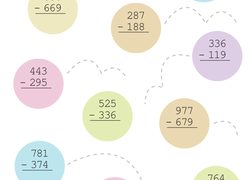 How well does your child know her times tables? 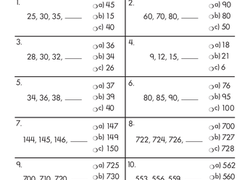 Get some practise multiplying by fours with this times tables practise sheet. 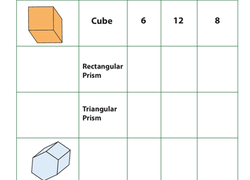 Need a refresher course on 3-d shapes? 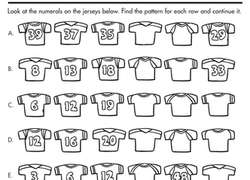 Kids finish the table by labeling or drawing each shape, then write how many faces, sides, and vertices each one has.